Mindfulness is a big deal in today’s culture. Businesses such as Apple, sports figures such as basketball player Kobe Bryant, and the popular press such as Time magazine have all given it their stamp of approval. 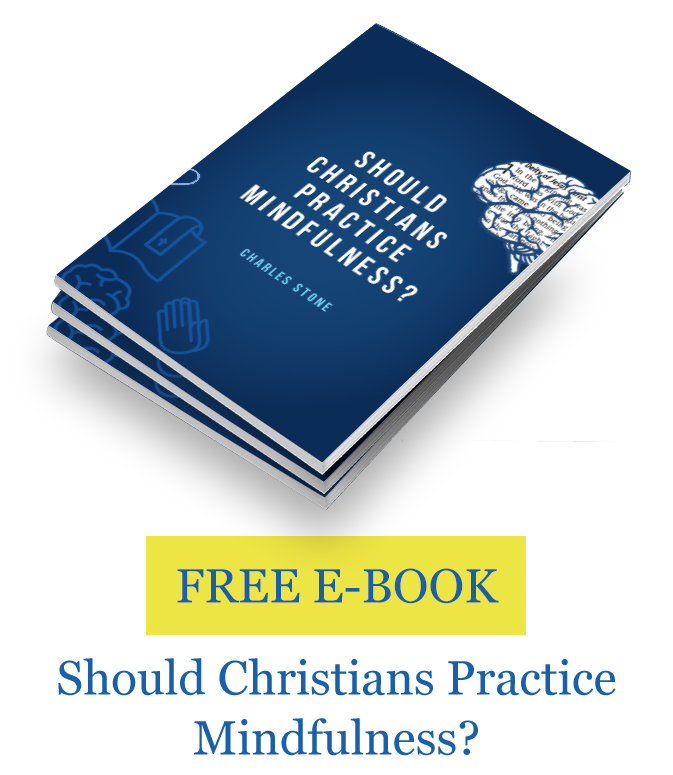 Governments are spending hundreds of millions of dollars researching itand it has become a billion dollar a year business In fact, Apple chose a mindfulness app as their app of the year for 2017.But, should Christians embrace it? Yes, because mindfulness in the Christian tradition has support in Scripture and church history. It’s a lost spiritual discipline that believers should reclaim. I define mindfulness for the Christian with these two words: Holy Noticing. Holy noticing is noticing with a holy purpose, God and His handiwork, our relationships, and our inner world of thoughts and feelings. Although mindfulness is no panacea that solves every problem, neuro-scientific research continues to uncover many practical benefits. 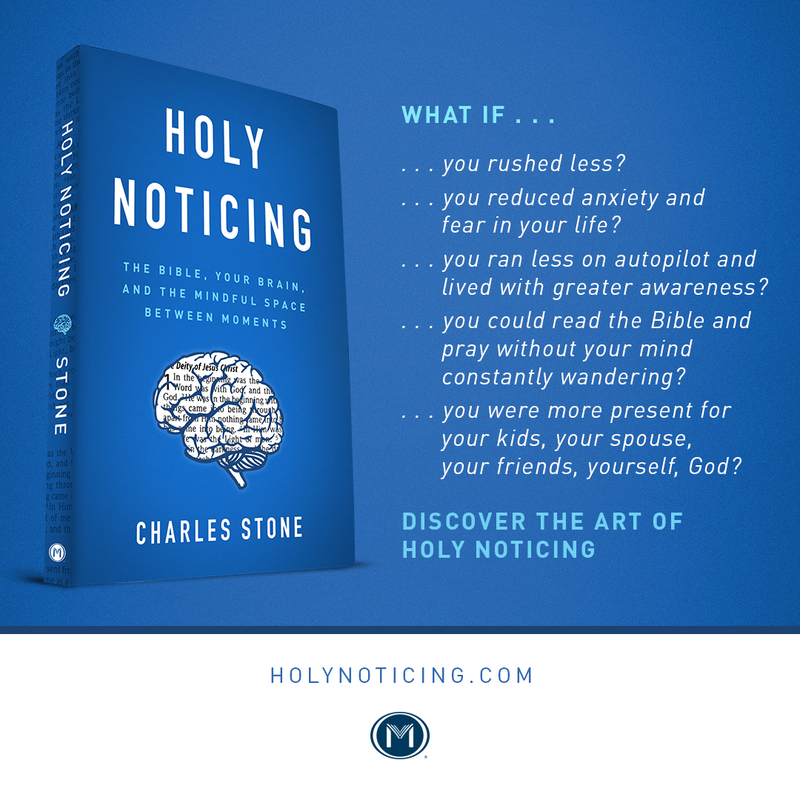 Here are the top 10 benefits of mindfulness, holy noticing, for the Christian. 1. It helps us avoid spiritual forgetting. In the book of Psalms, the psalmist records what often happens to us in our walk with God: our mental chatter and the stories we tell ourselves often leads us to forget God, what He has done, and what He is doing, at least temporarily. Mindfulness, however, can help us counter our tendency to spiritually forget God. It helps interrupt our thought stream that often gets hooked on unhealthy regrets and ruminations about the past, misrepresentations about the present, and worries about the future. It helps us spiritually remember by calming our brain’s fear centers while simultaneously engaging our thinking centers so that we can think more clearly and biblically. 2. It enhances our mental health. Neuroscientists have discovered specific brain processes involved in mindfulness. It helps keep negative emotions from running uncheckedand helps us avoid wrong assumptions and incorrect thought patterns.It gives us greater awareness of our internal body sensationswhich can cue unhealthy, unconscious thinking patterns. And it helps us ‘think about our thinking’ which make us consciously aware of unhealthy and sinful thinking.We might call this mental reflection the Apostle Paul wrote about in Philippeans 4.8. As a result, this way of life helps us more consistently act upon truth since we have the mind of Christ. (2 Cor 10.5, NIV) We think more biblically as we put into our working memory (also called short term memory) more truth (Phil 4.8). We become more present in the moment for God and others. And we less often ruminate over negative thoughts. 3. It increase our happiness by changing our interior landscape. Psychologist Dr. Sonja Lyubomirsky’s researchindicates that 50% of individual differences in happiness are determined by genes, 10% by life circumstances, and 40% by our intentional activities. So, 40% gives us significant latitude in how we can shape our happiness with God’s help. Mindfulness can help make a difference with that 40%. A mindful lifestyle enhances the brain’s ability to rewire itself through experience, thoughts, and behavior. It’s called neuroplasticity. That is, the brain is more like pliable putty than rigid porcelain. What we think about and do changes our brain. When mindfulness effects neuroplasticity it’s like an electrician running new wiring to bring a house up to code. God created us with incredible minds that allow us to solve intricate problems. But sometimes our problem-solving mode does not serve us well. When we face emotional pain and stressful thoughts, we try to solve these problems. Why do I feel this way? Where did these thoughts and feelings come from? What can I do to make them go away? This problem-solving mode is called the doing mode. The doing modetricks us to believe that productivity, speed, and efficiency are ultimate goals in life. When we stay in our doing mode, itis like being on autopilot all the time. We act with little clear thinking. Our being modegives us a new perspective that frees us from overthinking, mentally reacting, and allowing afflictive emotions or thoughts to snowball. In the being modewe actually stay closer to Truth which in turn frees us. Jesus said in John 8.32 that when we know the truth, it sets us free. Knowing the truth in Jesus and knowing the truth about the present moment does indeed set us free. And mindfulness helps us ‘be’ in the moment more often. 5. It helps us learn to live in the valleys of life with more peace. 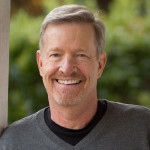 Devotional writer, Oswald Chambers, illustrates this state versus trait idea when he writes about mountain top experiences versus living in the valley. He says that we are made for living in the valleys of life not in the mountain top experiences, even though we may want to live there.He writes, “It is in the valley that we have to live for the glory of God. We see His glory on the mountain, but we never live for His glory there. 6. It minimizes the effects of chronic stress. Chronic stress damages our bodies through the long-term effects from the stress hormone, cortisol. Practicing mindfulness can decrease the amount of cortisol in our bloodstream.It also increases our brain density (gray matter) in areas involved in memory, learning, problem solving, conflict monitoring,emotional self-awareness, and self-regulation.It can even help improve our sleepwhich chronic stress often disrupts. 7. It improves the bio-markers of a healthy body. One of the most exciting new neuroscience findings involves its effects on inflammation, now considered a key marker in many chronic diseases. In one study, participants who went through a three-day mindfulness retreat showed a decrease in a biomarker of inflammation compared to a control group.Another study showed a direct link between this practice and reducing genetic markers associated with inflammation. Another exciting finding involves a key measure of health called heart rate variability (HRV). HRV measures the variation between each heartbeat. A higher HRV is considered a measure of good health. For those who struggle with anxiety, mindfulness is associated with a higher HRV. 8. It may slow the aging process. A mindful lifestyle may actually help us live longer by slowing the aging process.At the end of our chromosomes lie protective caps, like plastic caps at the end of shoelaces. They’re called telomeres and are linked to longevity. The longer and healthier your telomeres, all else being equal, the longer you tend to live. Chronic stress apparently shortens them. Telomerase is an enzyme (a catalyst that brings about a chemical reaction) that slows the shortening of these telomeres. Some studies show that those who practice those who practice mindfulness have more telomerase, a good indicator of a longer life span. 9. It helps us control our negative emotions better. In many ways mindfulness decreases the power negative emotions wield over our thinking and behavior.The goal of the mindfulness is not to avoid feelings nor to detach ourselves from emotions, but to notice and respond to them in a God-honoring way. Mindfulness lowers anxiety and depressionand helps us reduce aggressiveness and anger. It can also help us get unstuck from the automatic responses to our emotions like reactivity, hopeless thinking, defensiveness, and self-condemning thoughts including the misconception that good Christians don’t feel these kinds of emotions. 10. It helps us avoid common thinking traps. God has given our minds an incredible ability to think about the past and imagine the future. Scripture tells us to reflect over God’s deeds in the past (Ps 77:11) and anticipate Jesus’ return in the future (Matt. 24:42). Unfortunately, as a result of the fall these mental abilities often don’t work well. We obsess about what’s wrong in the present. We anticipate the future, and worry about it, projecting worst-case scenarios into it. Mindfulness can help you detach from wrong thinking in the same way that Teflon detaches from food. When you cook something in a Teflon-coated pan, food simply slides off because it doesn’t stick. When you detach from these thoughts, you don’t overly identify with them by getting hooked on your evaluations and judgments of them. You realize you are not those thoughts. Rather, you are a person that is aware of those thoughts. You are stepping back to gain a wide-angle perspective of the situation and the thoughts that resulted. So, for the Christian, mindfulness offers many benefits. 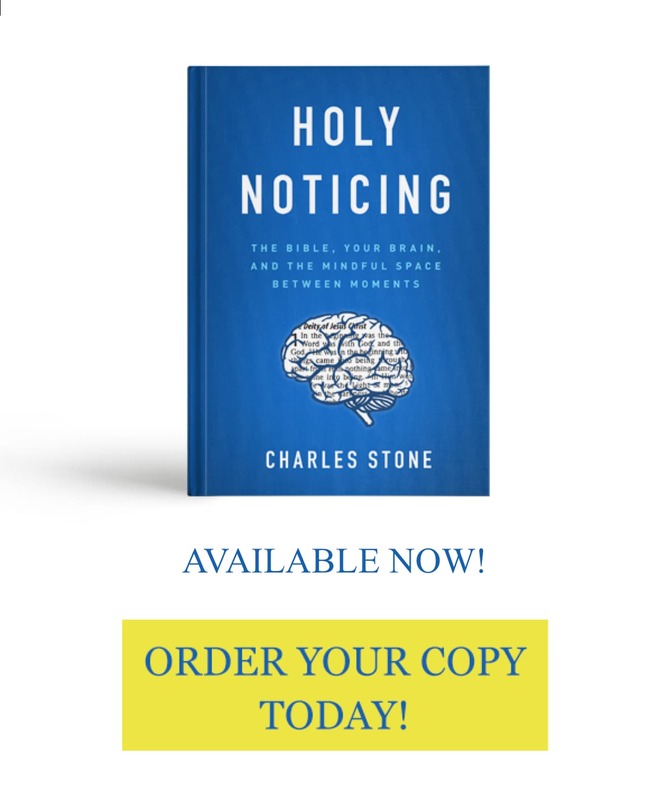 Be sure to check out my newest book called Holy Noticing: The Bible, Your Brain, and the Mindful Space Between Moments just released by Moody Press. Elizabeth Harrington, “NIH Has Spent $100.2 Million on Mindfulness Meditation,” Washington Free Beacon, December 16, 2014, http://freebeacon.com/issues/nih-has-spent-92-9-million-on-mindfulness-meditation/. “Meditation Has Become Big Business,” Fortune, accessed November 3, 2017, http://fortune.com/2016/03/12/meditation-mindfulness-apps/. This is called affective bias. This is called knowing wrongly. Brown, Creswell, and Ryan, Handbook of Mindfulness, p 42. This is called interoception. “The Strange Case of Interoception and Resilience,” Body in Mind, May 17, 2016, http://www.bodyinmind.org/interoception-resilience/. This is called metacognition. Dilwar Hussain, “Meta-Cognition in Mindfulness: A Conceptual Analysis,” Psychological Thought8, no. 2 (October 16, 2015): 132–41. Sonja Lyubomirsky, The How of Happiness: A New Approach to Getting the Life You Want(Penguin Books, 2007), pp 20-22. J David Creswell et al., “Neural Correlates of Dispositional Mindfulness During Affect Labeling:,” Psychosomatic Medicine69, no. 6 (July 2007): 560–65, doi:10.1097/PSY.0b013e3180f6171f. Oswald Chambers, My Utmost for His Highest: Updated Edition, Updated (Discovery House Publishers, 1992), p. 275. Karen O’Leary, Siobhan O’Neill, and Samantha Dockray, “A Systematic Review of the Effects of Mindfulness Interventions on Cortisol,” Journal of Health Psychology21, no. 9 (September 2016): 2108–21, https://doi.org/10.1177/1359105315569095. Scott Barry Kaufman and Carolyn Gregoire, Wired to Create: Unraveling the Mysteries of the Creative Mind(TarcherPerigee, 2015), pp 112-113. Daniel Goleman and Richard J. Davidson, Altered Traits: Science Reveals How Meditation Changes Your Mind, Brain, and Body(Avery, 2017), p. 180. Andrew J. Howell, Nancy L. Digdon, and Karen Buro, “Mindfulness Predicts Sleep-Related Self-Regulation and Well-Being,” Personality and Individual Differences48, no. 4 (March 2010): 419–24, https://doi.org/10.1016/j.paid.2009.11.009. Carnegie Mellon University, “Neurobiological Changes Explain How Mindfulness Meditation Improves Health – News – Carnegie Mellon University,” $dateFormat, http://www.cmu.edu/news/stories/archives/2016/february/meditation-changes-brain.html. Ivana Buric et al., “What Is the Molecular Signature of Mind–Body Interventions? A Systematic Review of Gene Expression Changes Induced by Meditation and Related Practices,”Frontiers in Immunology8 (2017), https://doi.org/10.3389/fimmu.2017.00670. Annette M. Mankus et al., “Mindfulness and Heart Rate Variability in Individuals with High and Low Generalized Anxiety Symptoms,” Behaviour Research and Therapy51, no. 7 (July 1, 2013): 386–91, https://doi.org/10.1016/j.brat.2013.03.005. Elizabeth A. Hoge et al., “Loving-Kindness Meditation Practice Associated with Longer Telomeres in Women,” Brain, Behavior, and Immunity32 (August 2013): 159–63, https://doi.org/10.1016/j.bbi.2013.04.005. Kirk Warren Brown, J. David Creswell, and Richard M. Ryan, eds., Handbook of Mindfulness: Theory, Research, and Practice, Reprint edition (The Guilford Press, 2015), p. 42. Bingaman, Kindle e-book locs 85-87. Ashley Borders, Mitch Earleywine, and Archana Jajodia, “Could Mindfulness Decrease Anger, Hostility, and Aggression by Decreasing Rumination?,” Aggressive Behavior36, no. 1 (January 1, 2010): 28–44, https://doi.org/10.1002/ab.20327.